Pumpkin Spice everything, crisp cool nights, and gorgeous autumn colors surrounding our Ozark’s hills can only mean one thing…FALL is back. 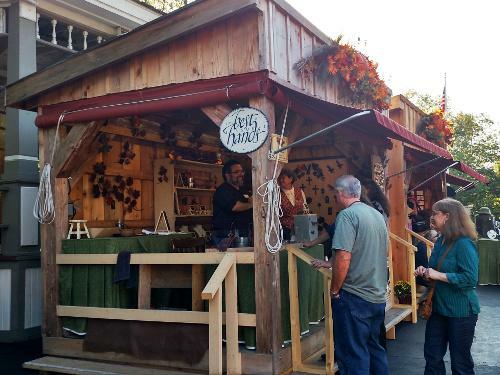 I love fall for so many reasons, but one of my favorites are all of the craft festivals and artisans markets that come to the Branson area. 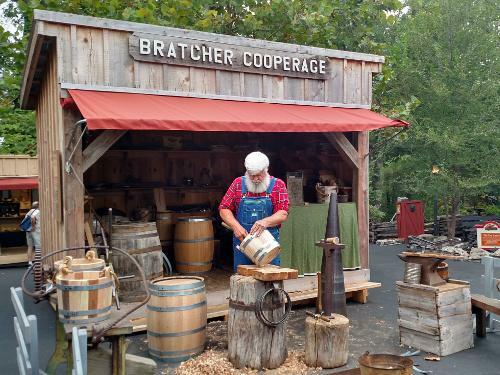 Silver Dollar City is easily one of Branson’s top destinations year round, but during the fall it is the attraction that you don’t want to miss. 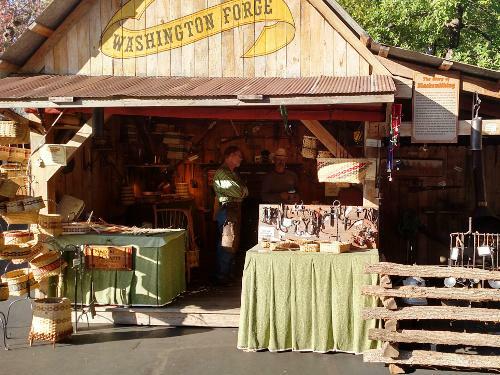 Silver Dollar City boasts the area’s premier craft festival. 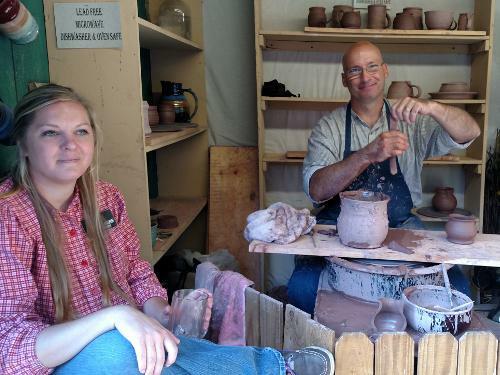 There are a few factors that make this festival unique such as the village-like setting and The Best Hands of Missouri artists are featured on site. As soon as I entered through the gates of Silver Dollar City I was surrounded by the Ozark’s breathtaking scenery, the temperature was perfect, and the aroma of all wonderful, fall smells just filled the air. With over 125 craftsmen on site, a multitude of fall eats & treats, and entertainment; I was eager to start my journey around the 2,396,046 sq foot park. We were greeted right away by a couple of crafter’s who were more than willing to allow us to take their pictures. These were my two personal favorite booths at the park. The artist’s were both incredibly talented and so kind to speak with. I have linked their personal pages to their images if you’d like to pay them a visit. Above is Karla Dornacher. Her artwork is inspirational to say the least. From the beautiful imagery to the motivational quotes, her work was a perfect fit and representation of our area. Below is J Rae Pottery. She is located out of Marshfield, Missouri. Her pottery work is magnificent. I love that she has stayed local. 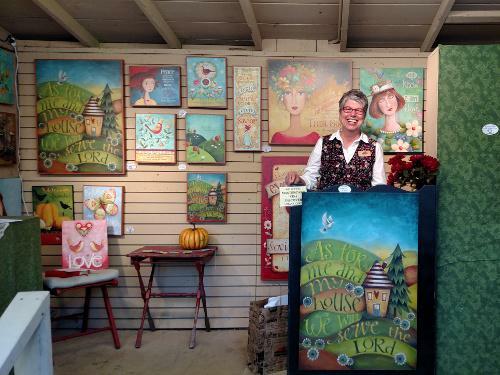 You can find her work in local shops and farmer’s markets. Below are a few more snapshots I was able to take. These are just a few of the many booths available to walk through. And of course before we left we had to ride some rides. What’s a day at Silver Dollar City without a little thrill? This is Wildfire. 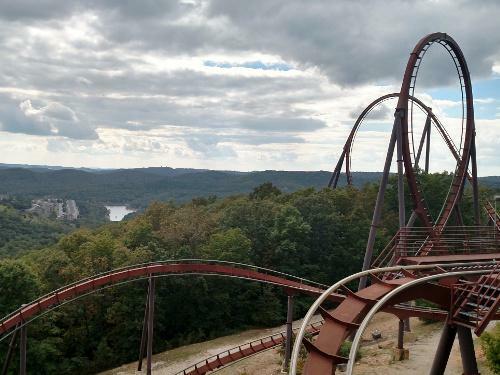 This coaster reaches speeds up to 66 mph and includes a 155ft. drop and five inversions, including a cobra roll and corkscrew. 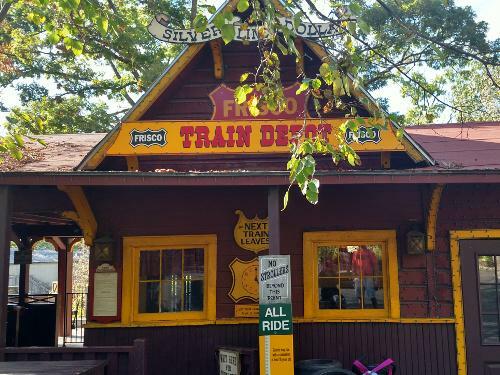 For milder adventure, I recommend Silver Dollar City’s Train. The Frisco Silver Dollar Line Steam Train is about a 20 – minute train ride through the Ozark countryside. There is also a small show during the trip that features a humorous “train robbing” act. The National Harvest and Cowboy Festival is happening now through October 31st. We hope to see you soon!